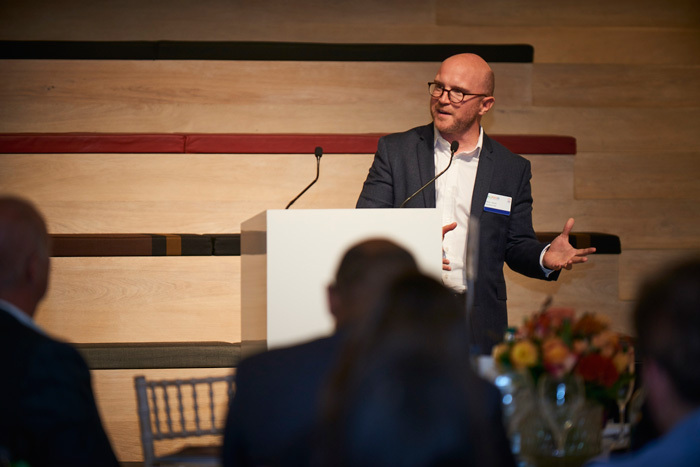 That was the key message from our guest speakers at EDF Energy’s September 2018 TalkPower event at the new Design Museum in London. 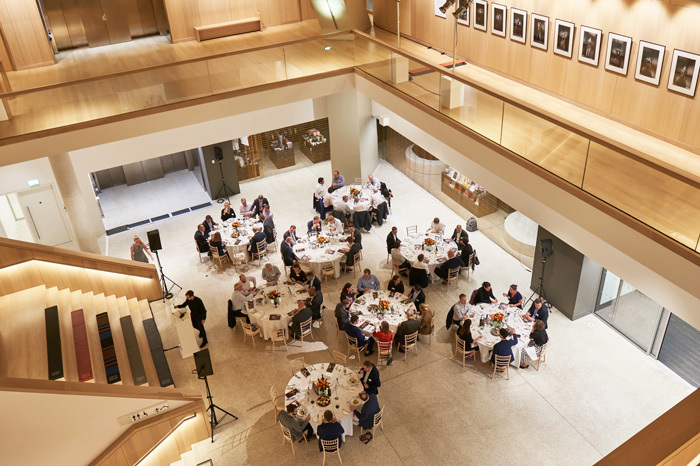 Attendees from across diverse business sectors joined us for drinks in the ‘Designer, Maker, User’ exhibition hall and a three course dinner in the iconic atrium hosted by Richard Hughes, Director of Sales and Marketing at EDF Energy. 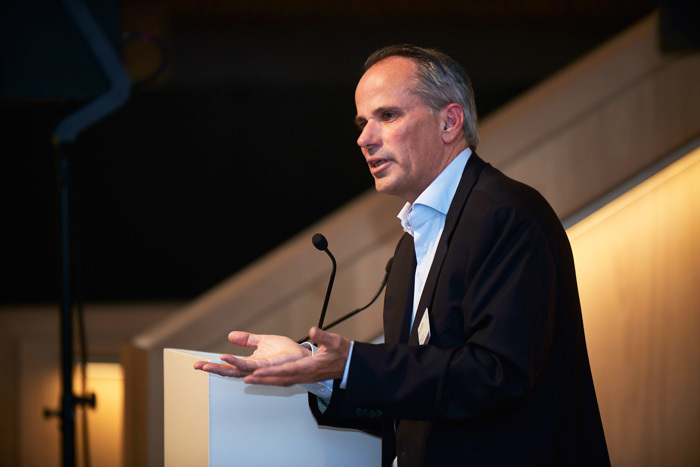 In the speaker line up were Adriaan Kamp, Founder of Energy For One World; Oliver Hurrey, Executive Director at 2degrees; and Vincent de Rul, Director of Energy Solutions at EDF Energy. Three key questions emerged – each of which was addressed by the speakers as they shared their expertise from the vantage points of very different roles in the industry. 1.What does the circular economy mean to businesses in practical terms? Oliver Hurrey answered by likening the ‘circular economy’ to ‘blockchain’. “We feel we should know what it’s about, but we don’t as it’s difficult to explain, so we’re tempted to nod along”. Having travelled the world explaining what the circular economy is about, he said, “put simply, it’s about two things: it’s about systems change and it’s about taking actions in business that are real and practical”. To illustrate his point, he told a story about his experience on a six-hour bus journey to Davos in 2016 where he was to participate in the Circulars Awards. He explained that talking to his fellow passengers, he came upon two circular businesses that reflect two very different approaches to going circular. The first was an entrepreneur who had invented ‘air carbon’, a way of extracting the carbon from air to manufacture sustainable plastic. The second was a social entrepreneur who had created an enterprise employing refugees to turn old shirts into pants. The moral of his stories? There are many different kinds of businesses going circular. Some are big, others small. Some are based on technology-driven innovation, others handcrafted ingenuity. Some may deliver billions of pounds in value, others may raise people out of poverty. But all of them have one thing in common: circular thinking. The circular economy may seem complex, confusing and can easily overwhelm. But unlocking its value can be made simple. Change your mindset. “If we change the way we think about our businesses, we’ll change the way we do business,” he said – and even small changes, like in the way we use, save and manage our energy, can change the value we generate. 2.Why is energy a great place to start making your business circular? Adriaan Kamp answered by saying that it’s energy – not money – that makes the world go around. After all, it’s energy that turns materials into money. But he explained that it’s time for all businesses to make sure our products are not only affordable and available, but also good. He cited the three pressures that all sectors, including energy, face. Globalisation, climate change and dwindling resources. Motioning to the great hall around us, however, he said the Design Museum itself is testament to what the human spirit, hand and genius has done over the last 100 years to transition when needed - and change our world and our state. It’s time now, he declared, for us to make such a transition in business in general and energy in particular, where we must change the state of power. He said only 20% of the world’s total energy consumption is from electricity, the rest is from fossil fuels. Our goal, he declared, must be to raise this to 50% - and fast. For Kamp, the circular economy represents an opportunity for all business to change so that we can make, use and manage without guilt. Applying this to our industry, he explained, going circular will enable us to make, use and manage energy without concern. In closing, he entreated the audience to help make this bridge between energy free of concern and an economy free of concern. 3.How can you change the way you use energy right here, right now? He talked about the first change businesses can make as they set off on their journey towards becoming circular: measure how much energy your business is using. Emphasising EDF Energy’s commitment to helping our customers do energy differently, he introduced two products we have developed. One is PowerReport which gives you a snapshot of how your business is using energy. The other is PowerNow which gives you even more granular data on a live dashboard. He explained that both are easy ways to understand how your business is using energy, where you can save and how much. “You can start saving, managing and optimising your business’ energy without risk, without much investment and without concern,” he said. Read our white paper to find out more about how circular thinking can transform your business through energy solutions. You can also view our handy infographic which shows you 10 changes you can make today to get the circular edge.